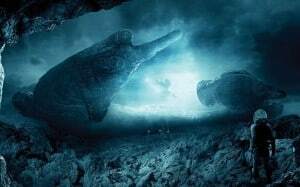 Prometheus 2 Officially Named Alien: Paradise Lost | Nerd Much? Director Ridley Scott has revealed in an interview that the name of the highly anticipated Prometheus 2 will officially be Alien: Paradise Lost. While promoting his latest film, The Martian, Scott noted the new name to Hey U Guys, who noted the allusion to the John Milton poem Paradise Lost will likely have implications for the film’s plot. Scott did not go into any detail about the actual plot, only noting the new name for one of our most anticipated upcoming sci-fi movies. Actually, it’s going to be called Alien: Paradise Lost, so Prometheus 2 isn’t what it’s really going to be. You know the poem? I doubt you’ve ever been through it, have you? The poem’s a book, Paradise Lost! It sounds intellectual, but there’s a similarity to it, and that’s where it stops. Scott has confirmed that Paradise Lost will be his next project now that The Martian is heading to theaters, with production starting in February. The Alien: Paradise Lost cast includes Michael Fassbender and Noomi Rapace, with more to be announced in the coming months. The release date is currently set for May 30, 2017.